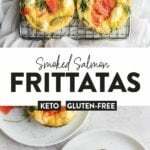 Take breakfast to the next level with this Smoked Salmon Breakfast Frittata recipe! 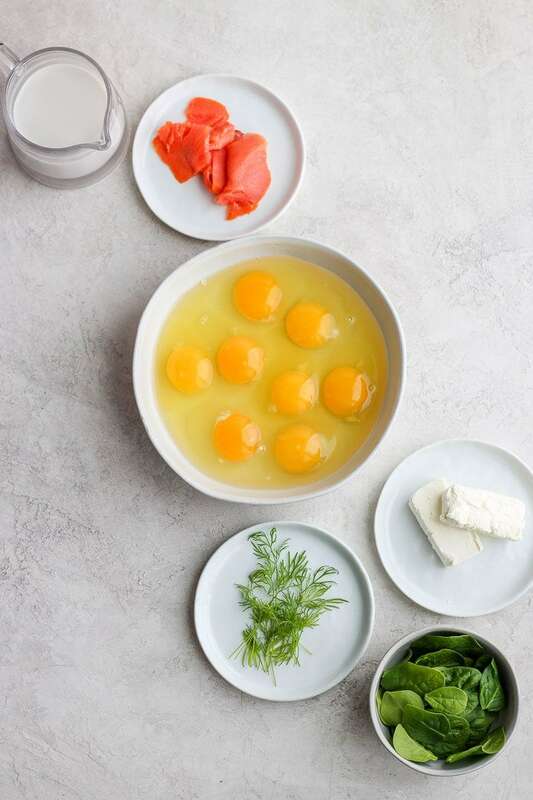 The smoked salmon and cream cheese flavors you love + dill, spinach and EGGS baked together to perfection. 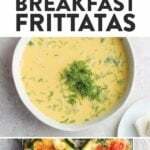 You’ll be wowing your family and breakfast guests in no time! 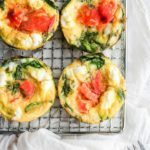 Smoked salmon + dill and spinach + cream cheese has always been one of our go-to flavor combos, but pairing it with eggs to make this cutie pie individual breakfast frittata goodness is just a dream come true. 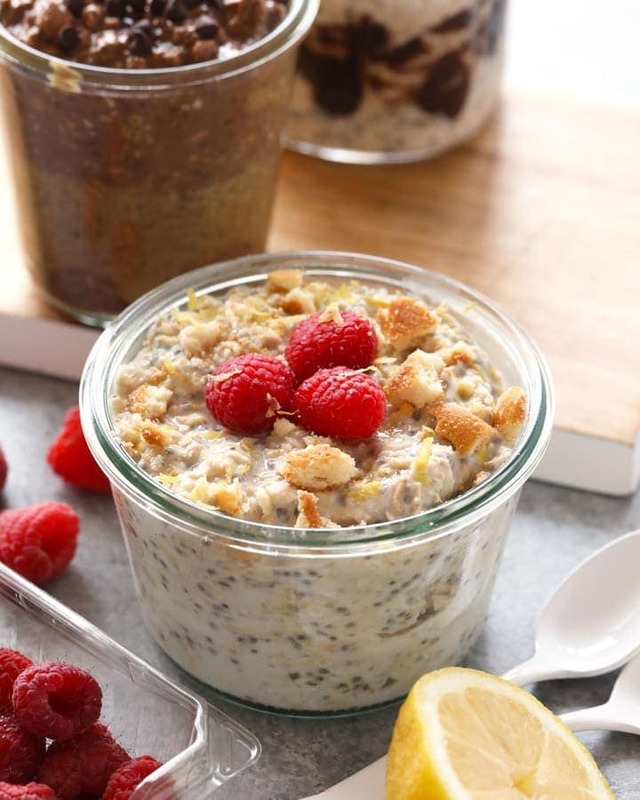 They’re easy to make, protein-packed and a delicious way to start your day. What are the Health Benefits of Smoked Salmon? 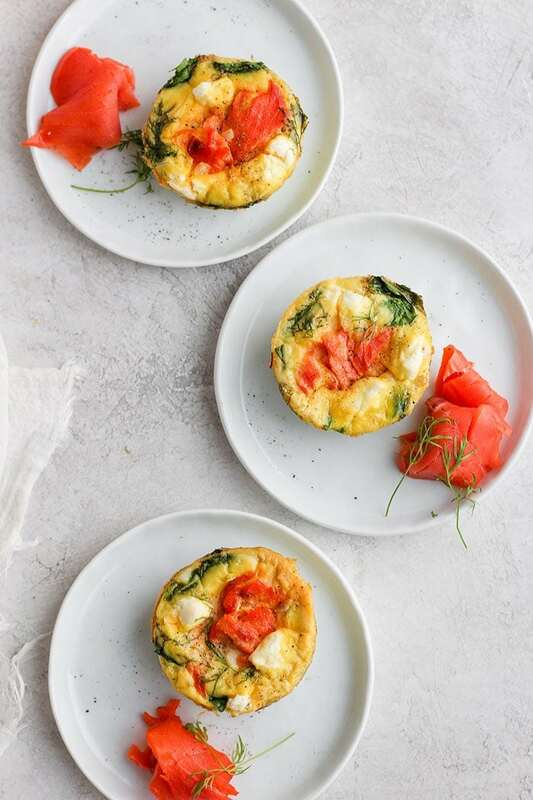 While smoked salmon can be often overlooked for breakfast, we love incorporating it into our healthy breakfast recipes because it’s a great source of omega-3 fatty acids, protein, potassium AND B vitamins. Talk about a great way to start out the day! And combine that with the health benefits of eggs — you’re well on your way to a delicious and nutritious breakfast. First, preheat oven to 350ºF and generously spray a nonstick muffin tin with coconut oil cooking spray. Make sure you spray every nook and cranny. Alternatively, you can line your muffin pan with muffin liners, but if you go with this method, we suggest spraying the muffin liners with coconut oil cooking spray. Crack eggs into a medium size bowl and whisk. 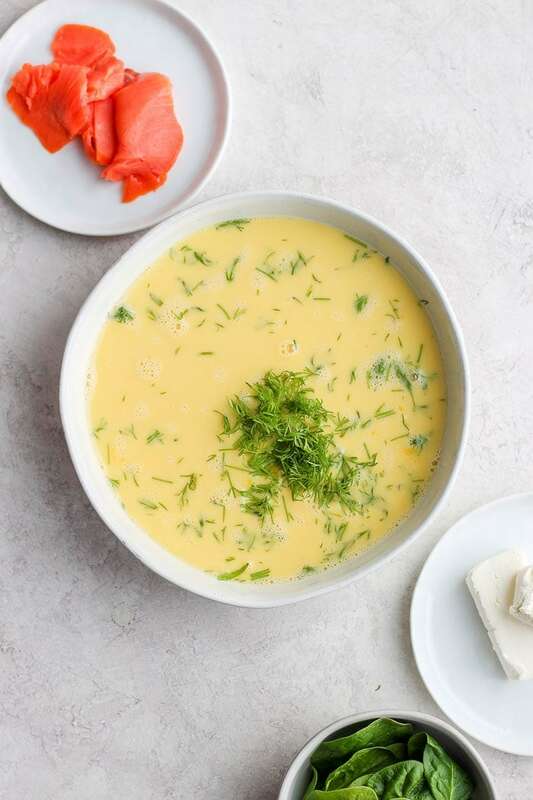 Add almond milk and dill to eggs and whisk until combined. Set aside. 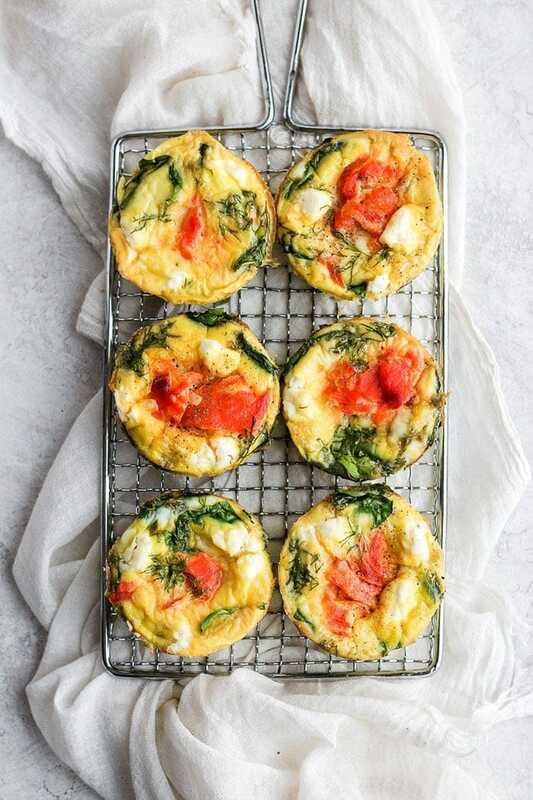 Evenly distribute spinach, shallot, and smoked salmon into each of the muffins. Next, fill each muffin about 3/4 of the way with the egg mixture and then dollop on small pieces of cream cheese evenly across each muffin. 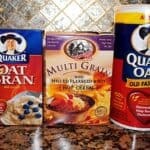 Carefully stir the mixture so that everything is combined in the muffin tin. Place the muffin pan into the oven and bake at 350ºF for 16-18 minutes. Remove from oven and let cool before removing each muffin from tin. Serve immediately or let cool completely and store in meal-prep containers in the fridge to enjoy throughout the week. 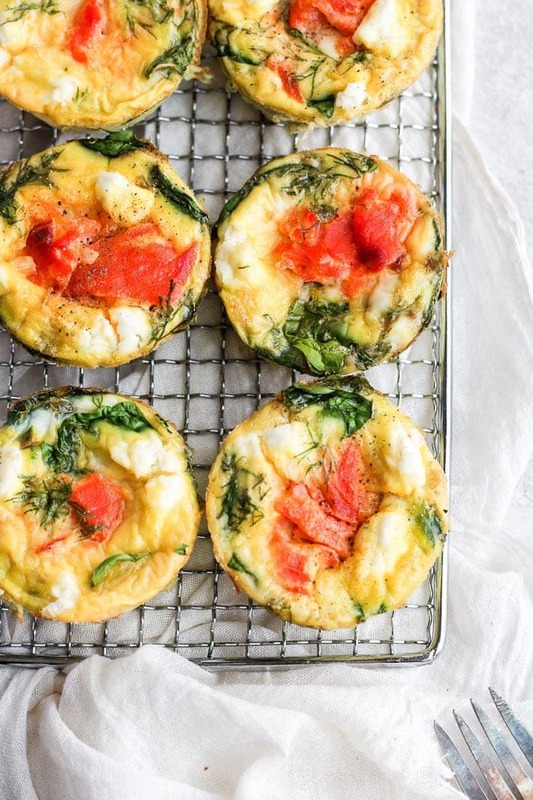 Take breakfast to the next level with these individual Smoked Salmon Breakfast Frittatas! 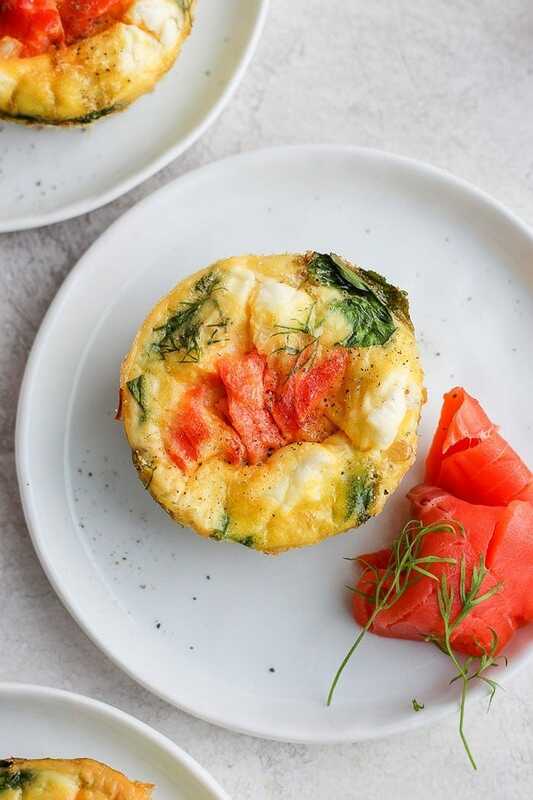 The smoked salmon and cream cheese flavors you love + dill, spinach and EGGS baked together to perfection. 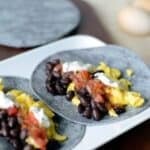 You’ll be wowing your family and breakfast guests in no time! First, preheat oven to 350ºF and generously spray a nonstick muffin tin with coconut oil cooking spray. Make sure you spray every nook and cranny. Alternatively, you can line your muffin pan with muffin liners. We suggest still spraying those with coconut oil cooking spray. Next, fill each muffin about 3/4 of the way with the egg mixture and then dollop on small pieces of cream cheese evenly across each muffin. Stir so that everything is combined. 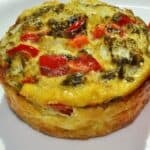 Place muffin pan into the oven and bake at 350ºF for 16-18 minutes. 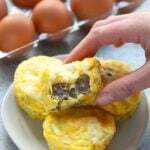 Remove from oven and let cool before removing each muffin from tin.